Make Your Game Using Python, Then Break Your Game to Create a New One! Make it! Code it! Break it! Mod it! Meg Ray's Code This Game! 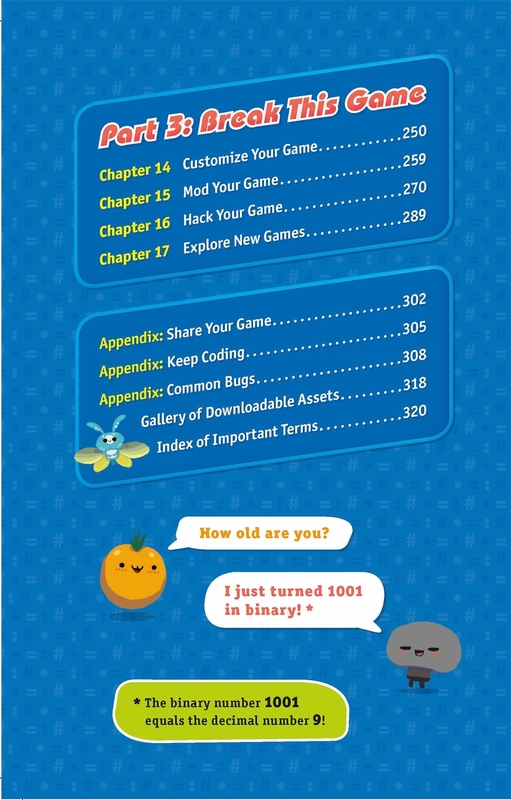 is a nonfiction visual guide, illustrated by Keith Zoo, that teaches young readers, 10-14, how to program and create their very own video game. 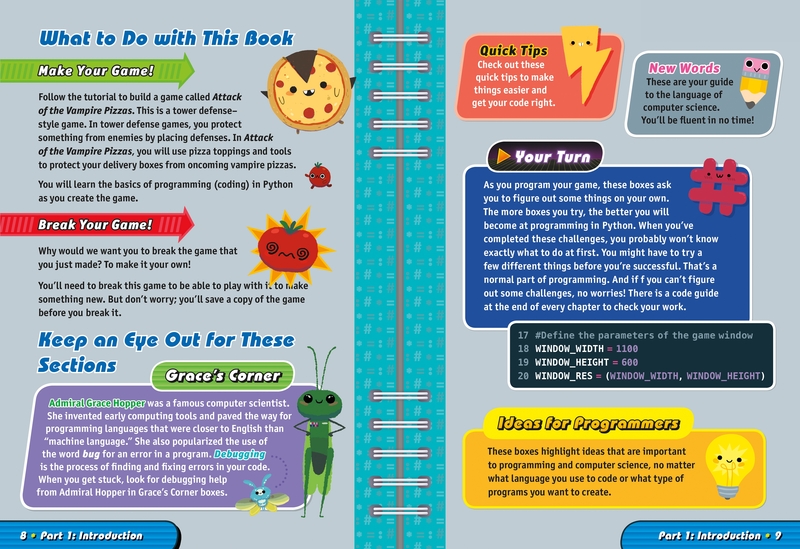 Each chapter introduces key coding concepts as kids build an action strategy game in Python, an open-source programming language. The book features an innovative stand-up format that allows kids to read, program, and play their game simultaneously. With easy-to-follow step-by-step instructions, Code This Game! 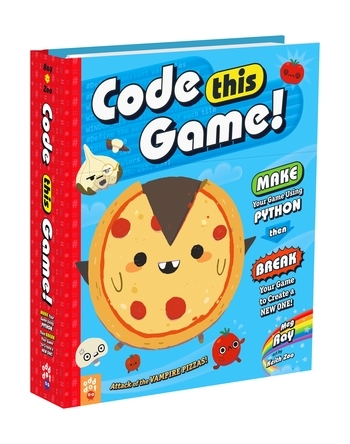 teaches kids to build a strategy action game called “Attack of the Vampire Pizzas!” The book also teaches how to modify the game and follow one's imagination by incorporating downloadable art assets. 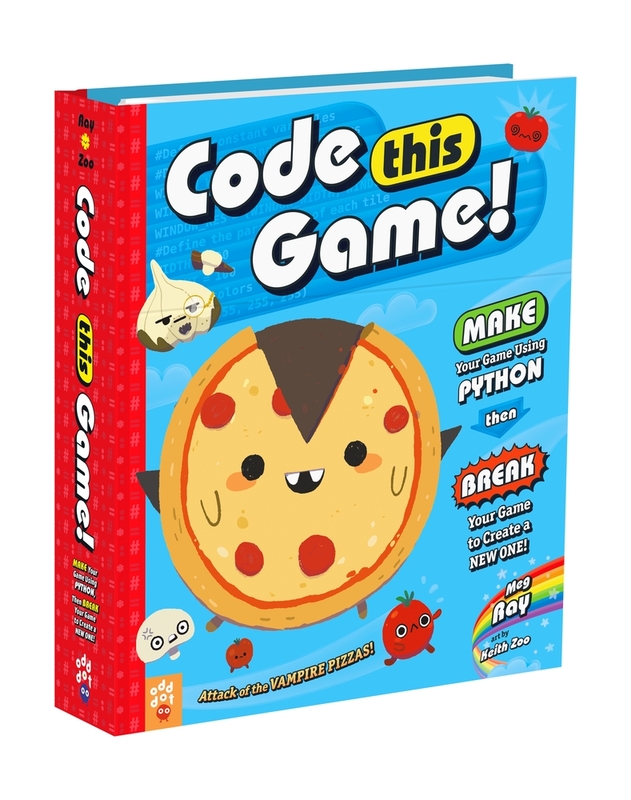 By the time kids finish the book, they'll have mastered basic coding concepts and created a personalized game.